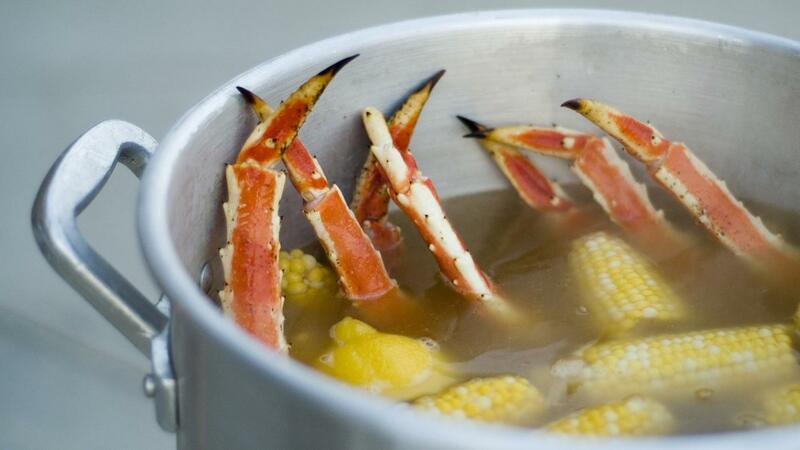 Some simple side dishes that compliment crab legs include a fresh green salad with citrus dressing or steamed mixed vegetables seasoned with fresh herbs. Steamed artichokes or green beans go well with crab legs because these sides may be dipped in the same butter as the crab. More options that utilize the dipping butter include boiled new potatoes sprinkled with fresh cracked pepper or a loaf of crusty bread to soak up the butter. A classic addition to serve with crab legs is steak, which completes what is known as the "surf and turf" meal. An alternative is to make the meal seafood-themed, adding mussels and shrimp to the main course. How Do You Fix Too Much Vinegar in a Recipe?